This post began with a tiny postage stamp — and then began to grow, finally encompassing bits of biblical history, the roll-out of a new interpretive center, and a major rail infrastructure project just getting underway here in Israel — plus links to many, many resources. In sum, it is about the rediscovery of a fascinating slice of history and, indeed, a plan to give it a modern manifestation. I’ve never really been a “stamp person”, but handling all the mail for the Ecole Biblique as I do, I sometimes find myself within the inner sanctum of our local post office asking Faez, the assistant manager, to peruse his batch of “special stamps”. I resonate particularly to those featuring natural landscapes, tourist and pilgrim sites, archaeology, and the history of this land, both ancient and modern. Some past Israeli stamp issues that caught my eye, for whatever reason, have been highlighted on this web-log here and here. 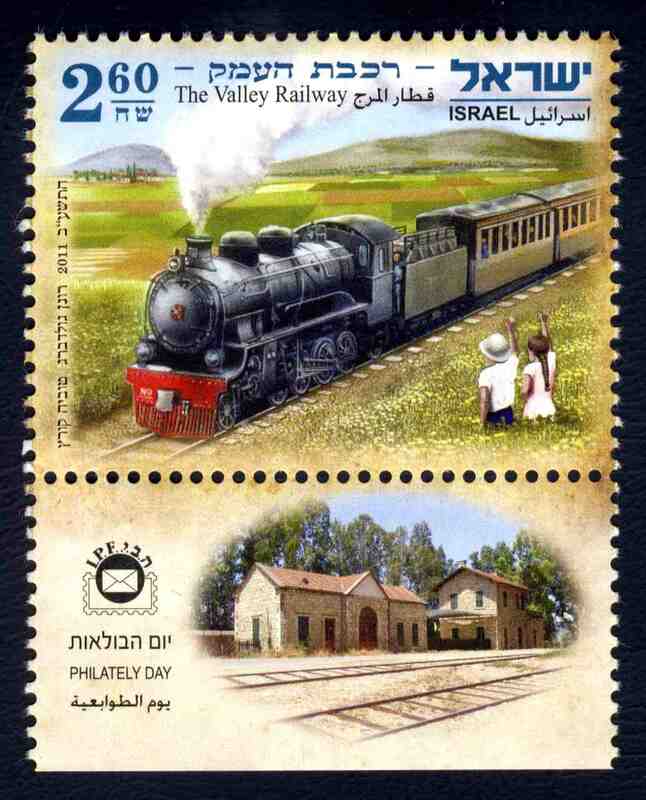 Now the Israel Postal Company has issued a postage stamp commemorating a colorful but little-known fixture of a bygone day, the so-called Valley Railway that plied the Jordan and Jezreel valleys during the first half of the 20th century. Although it began as a western branch line off the larger Hejaz Railway linking Damascus and Medina, it later took on a life of its own serving the growing number of Jewish communal settlements that sprang up, especially in the rich agricultural areas of Turkish and British Mandate Palestine. THE STAMP itself shows a locomotive and train making their way westward along the Jezreel Valley — for train buffs, it’s a “Hartmann 2-8-2” steam locomotive! The view is looking more or less west to east. In the distance appear Mount Tabor (left) and the Hill of Moreh (right), both rich with biblical-historical connections. Tabor, besides being the place where Jesus’ Transfiguration has been remembered since Byzantine times, also figures into the story of Deborah and Barak fighting the Canaanite army of Sisera (Judges 4), plus Josephus tells of a battle fought there early in the Great Revolt (War 4:54ff). About the Hill of Moreh, see below. The stamp SHEET MARGIN (which I have displayed as the header image for this page) offers a handsome panorama of Givat ha-Moreh, the biblical Hill of Moreh, as viewed from the south, across the Jezreel Valley. In the Bible we have the story of Gideon’s unusual battle against the army of the Midianites, where the foe was camped at the foot of Moreh (Judges 7:1); in fact, the viewpoint for this scene would be very near the Harod Spring where Gideon and his “too big” Israelite army were based. Then in the cycle of Elisha stories, the prophet accepts the hospitality of the Shunnamite woman and her husband, and later restores to life their son who had died (2 Kings 4); the modern community of Sulam, at the base of the hill, is thought to be ancient Shunem. And finally, on the lower slopes, just on the other (northern) side of the hill, we have the setting of one of Jesus’ miracles, which indeed resonates with the Elisha story in certain ways: the Lord enters the village of Nain, stops a funeral procession, and resuscitates the deceased, the only son of a widow (Luke 7:11-17); as with Sulam, the name of the modern village, Nein, echoes that of the ancient one. A bit more background on the Valley Railway itself: The “Haifa Line”, as the whole branch was known, left the Hejaz main line at Daraa in Southern Syria, headed west across the Hauran Plateau, and then snaked its way down the Yarmuk River valley, a formidable engineering challenge that involved a number of bridges and tunnels. After reaching the southern tip of the Sea of Galilee at Samakh, the line turned south to follow the Lower Jordan River. Then at the Arab town of Beissan (today’s Beit She’an) it headed northwest to traverse the great central valley, the Jezreel, finally running along the foot of the Carmel range all the way to Haifa. So, the “Valley” in its name, while mostly referring to the Jezreel, really applied equally to the Lower Jordan valley (and, arguably, to the Yarmuk as well). Within Palestine, there were side branches as well, one connecting Haifa with nearby Acre and another running south from Afula down to Nablus. Route of the Hejaz Railway’s Haifa Branch line within Historic Palestine (the “Valley Railway”); the closed black circles indicate the original seven stations. Source: PIWP database. As improbable as it sounds, the Haifa Branch line was first conceived as a money-saving venture, so the story goes: It seems the German and Turkish builders of the Hejaz Railway project, which was already underway, were being charged exorbitant sums by a privately owned Beirut-to-Damascus railroad for the transport of materials, equipment, etc. inland. Thus, as a remedy, the Turkish-controlled Haifa branch was undertaken, with the idea of drastically cutting the construction expenses of the larger Hejaz project. Begun in 1903, it took less than three years to complete, due in part to the re-use of infrastructure left over from a similar but failed British-sponsored project years before. One other curious aspect of the Railway: In the Ottoman period, in its service as a passenger line, the Jezreel Valley segment especially was infamous for its slow speed of travel: According to local lore, commuters could jump off the train, pick flowers in the adjacent meadows and catch up with it on foot! The Valley Railway operated during the years 1905 to 1948, and many traces of it still exist today. If one knows where to look, some of the depot structures, intact arched stone bridges, etc. are still visible. Driving up the Jordan Valley from Beit She’an, for example, one can in places, with just a little effort, trace the line of the rail-bed at the foot of the hills to the west of the highway. And, near the village of Ramin in the West Bank, a 250 meter-long, World War I-era tunnel, a remnant of the Afula-Nablus line, lies hidden in the hills of Samaria. The Israel Postal Company site provides the technical data for the stamp, plus much more very interesting historical background, HERE (scroll down for English). For those wanting still more, the Wikipedia entry has loads of detailed information and history, including on each of the stations along the line. UPDATE, APR 2012: Israel’s Ministry of Foreign Affairs has posted an article on-line describing plans to renovate another of the original stations, Tzemach. Perhaps the best known of all the stations, Tzemach is located at the southern end of the Sea of Galilee, near the point where the Jordan River flows out of the lake to continue its journey southward. The renewed depot facilities are slated for use as a center of learning and tourism; the projected opening date is October 2012. Finally, it is worth noting that an Israeli project is currently afoot to create a new Valley Railway (although not everyone is convinced it’s needed), as part of the national rail network. 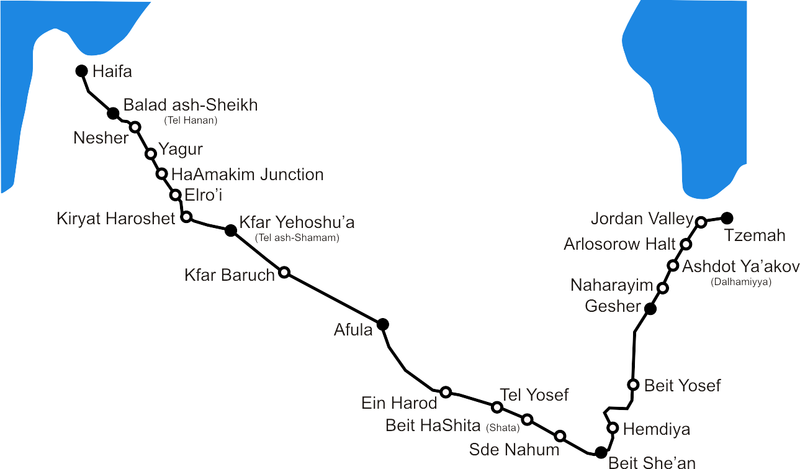 The envisioned line, which will be built to handle high-speed passenger service, will connect the major port city of Haifa with Beit She’an in the Jordan Valley, mostly following the old route but with all new infrastructure, of course; the plan also includes a link to the Jordanian national rail system (in which case it makes much more sense). The $1.12 billion project was announced already in 2006, as reported in this Haaretz article. According to this rail industry web-site, the initial tenders for construction of the 60-km, dual-track line were launched last year. The projected completion date is stated as 2016, which seems wildly optimistic to me. Anyway, in 2006 British radio producer Malcolm Billings went in search of the remaining traces of the Hejaz, rode on restored sections of the line in Syria and Jordan, and put together four wonderful sound-journeys for the BBC’s top-notch “Heritage” radio series. You can listen to these programs on-line HERE, at the BBC documentary archive; each episode runs about 20 minutes. So, if you have the time and the inclination (find the time! 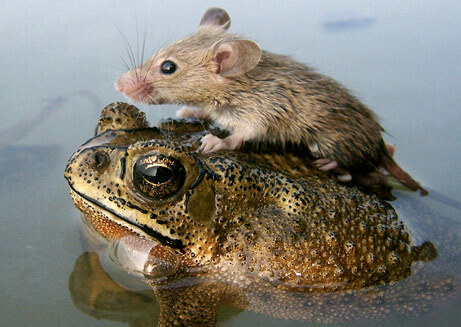 ), put your feet up, close your eyes, and treat yourself to a unique virtual adventure. You can actually smell the smoke — I promise! Here is another on-line resource for the Hejaz Railway — history, photos, etc. This entry was posted in Galilee, Modern History, Stamps and tagged Galilee, Hejaz Railway, Jezreel Valley, Kfar Yehoshua, Moreh, Railroads, Tabor, Valley Railway. Bookmark the permalink. I am one of the original New Zealand (17th Railway Operating Company) that worked the line from Samakh to Deraa. I also fired trips to Damascus and down to Aqhaba. I was the committee chairman when the the book “THE DESERT RAILWAY” was written. Our job at the time was backing the Australians in Syria. The main base camp was at Afula. Norman: Thanks for your very interesting comment. How fascinating that you were there and helped operate this historic line! Hope you got the chance to hear the radio pieces by Malcolm Billings (above) — very evocative!